Apple and Qualcomm are currently in a bitter dispute over licensing payments that the former has stopped paying to the latter, and now the out-of-pocket chip maker may be about to take things to the next level with reports suggesting it’s seeking to ban the iPhone from the US. An anonymous source familiar with Qualcomm’s stance has told Bloomberg that the San Diego-based firm is now seeking an import ban on all iPhones into the US with the International Trade Commission. Qualcomm apparently is looking to have the ban put in place ahead of Apple's rumored iPhone 8 / iPhone 7S launch this September, which could put a massive dent in the 10th anniversary celebration of the iconic smartphone line. 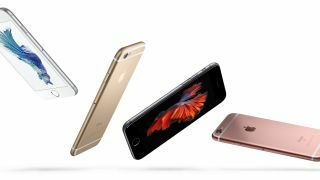 It could also mean a shortage of stock on current iPhone models, including the iPhone 7, 7 Plus and iPhone SE, making Apple's popular smartphone difficult to come by in the USA. The thing is, a ban would be highly unlikely. It’s a ruling that Apple would use its considerable legal might – and finances – to challenge and stop it from happening. We've seen bans threatened in the past, but ultimately fail to hold up in court. Between 2013 and 2015 Apple and Samsung were locked in a lengthy legal battle, and at one stage the Cupertino firm tried to get a number of Samsung handsets taken off sale in the US, only for the courts to refuse the import ban. We approached both Apple and Qualcomm for comment on the matter, with the latter declining to go on record. We're still waiting for a response from Apple, and will update this article once we hear something.